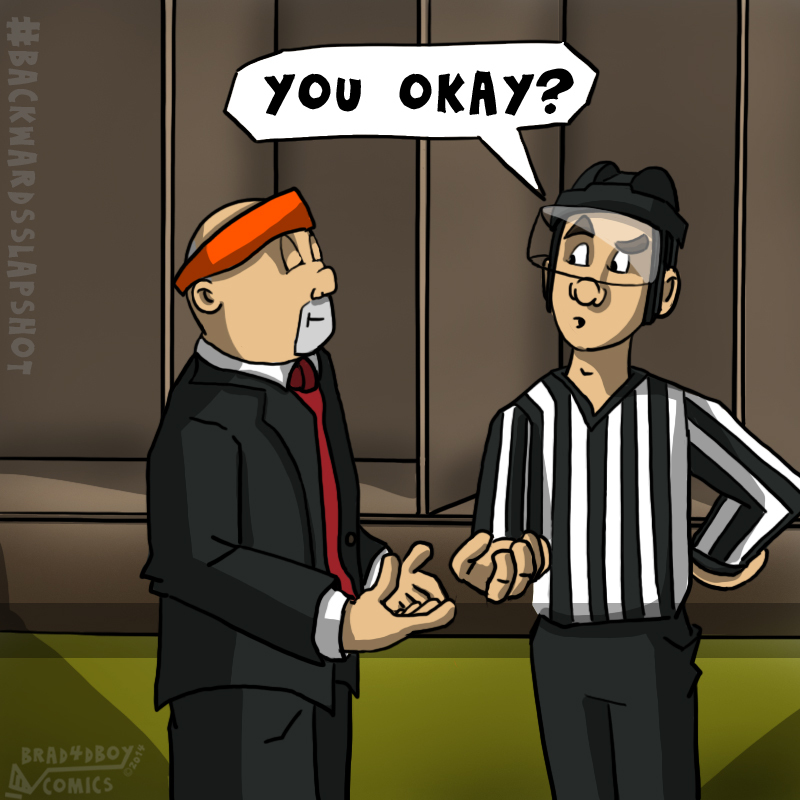 The latest Caps/Pens tilt was a doozy. Unfortunately the refs missed most of it. 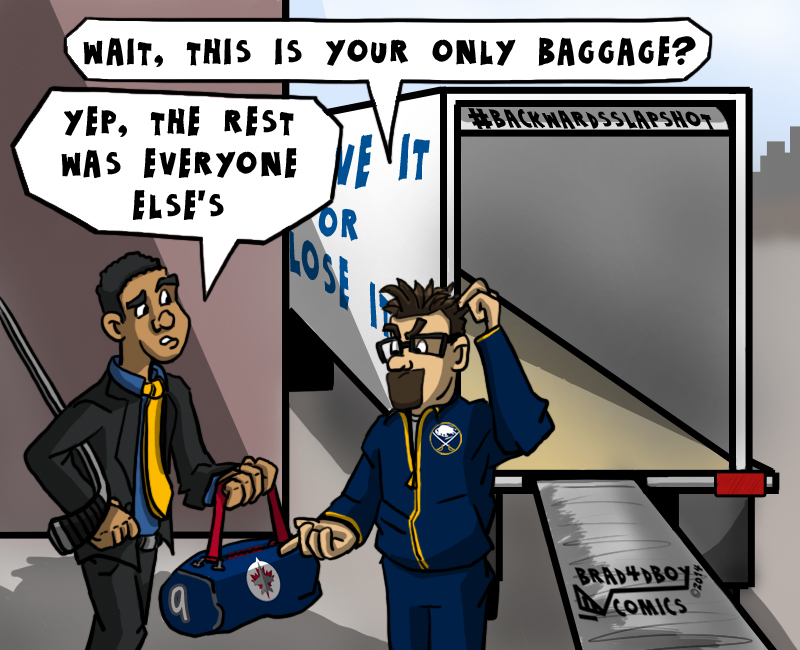 The recent coverage of the Evander Kane trade (and the volumes of anticipation leading up to it) provides us with yet another example of how effortlessly the hockey-sphere can saddle a player with "baggage". To me, the real baggage lies within the system that surrounds the players, and the media's interpretation and portrayal of off-ice activities. 30 years on any job is testament to a person's commitment, passion, and desire to deliver a quality product in the workplace. 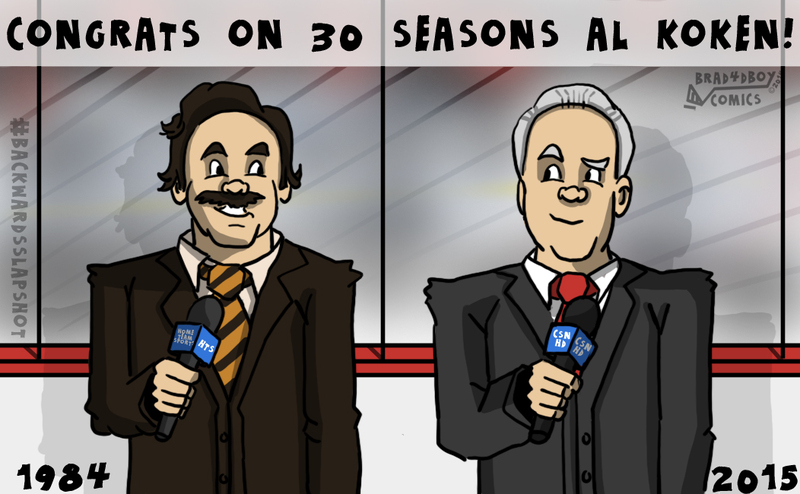 Al Koken has been doing so for the Washington Capitals media since he began nearly 40 years ago, with 30 of them coming with what is now Comcast SportsNet. Congrats on a wonderful career so far Al! 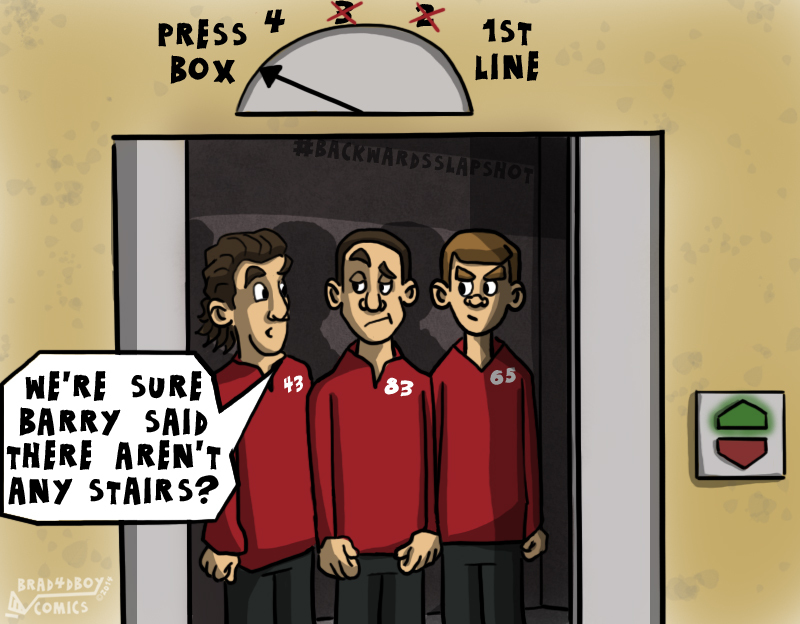 I recently wrote a post about how I complete the comics for Backwards Slapshot. Read the full post here. For those wondering about the mysterious process between layers 1 and 2, take a look at one of my favorite links that still helps me out as I'm completing drawings.